Since the early ‘90s Spider, aka Spider One, has helmed this spaceship of multicolored lights and futuristic sound known as Powerman 5000. Dressed in leather with blood-stained lips and stiletto dance shoes, Somewhere On The Other Side Of Nowhere is the band’s return to their true form and purpose. 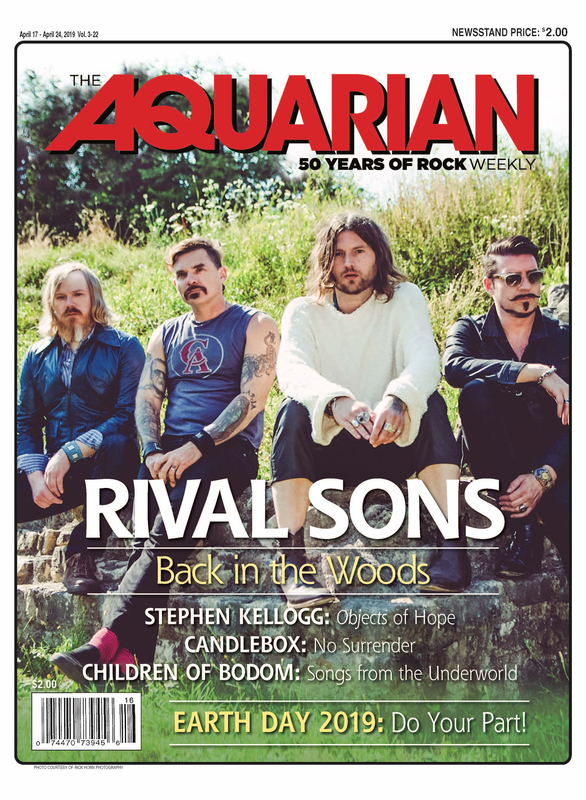 Spider told the Aquarian Weekly that PM5K might have been on a hiatus, even directionless for a while, but a single visit to San Diego revitalized the Spider’s creative juices and are now better than ever. Armed with the maliciousness of Marilyn Manson, KISS’ groove chops and philosophically probing lyrics, Somewhere On The Other Side Of Nowhere can arguably be labeled as PM5K’s most self-actualized record to date. This record feels like a rebirth of the band. I think you actually hit it on the head with that statement. It was sort of a rebirth. I think quite honestly, before we started making this record, I was a little creatively tapped out. Like, ‘How many more of these records can I make? How many more of these songs can I write?’ I wasn’t quiet sure, and we had gone through a weird period on the last album where I had really abandoned what the band was traditionally about. I said, ‘I am going to make the record that I should have made when I was 15.’ We made this sort of weird stripped down punk rock record with a line-up I always felt was a transitional line-up, and the fan base kind of rejected it, with good reason. And during that time, I was kind of bummed out that people didn’t get it, and I completely understand now. People were just rallying, just writing to me, ‘Just get back to what you do best. We want the Powerman that we remember.’ But at the time, I just wasn’t feeling it. The summer of 2008 I ended up going to San Diego Comi-Con, which is this enormous event where 150,000 comic book nerds and sci-fi fans just all gather. I was there and it really just hit me, this is all the stuff that made me who I am today. I was that kid. I looked around and didn’t see any music represented at all. I realized because that’s my job. We are the band for these people, so I got really inspired and I got on this mission to reclaim a certain territory that only this band can do. Which is this weird hybrid of electric and heavy riffs but the content is sort of weird, sci-fi inspired and pop culture references. There are other bands that dabble in it, but I thought, ‘Hey, this is where we planted the flag like 10 years ago.’ The guys in the band, the new line-up, totally get it. They were fans of that before I knew them, before they were in the band. How did you hook up with them? Was it word of mouth, did you have an audition process? It was friends of friends and it sort of came together organically that we all started working together and understand each other. It was really fun to have a clear vision on the record for once, that we knew we wanted to reclaim that Tonight The Stars Revolt that we did, but do it in a completely modernized fresh way that we did. We tapped into that spirit and that feeling of that album, but we didn’t repeat the process. It’s weird, it almost feels like the follow up to that record, but 10 years later. But it was cool because within those 10 years, I learned a lot, became a better songwriter, a better vocalist. It’s funny, this deep into doing this, it feels like our first album or something, I am more excited about this record than I have been about any of them. It does feel really different then what’s out there right now. Yeah, you’re right I think that there is this hole in the rock music scene. I like doing this stuff that on the surface, it’s really powerful and fun, and cool, but the underlining, there’s something to read into. It’s like a great sci-fi movie, it’s a roller coaster ride, but in the middle there is social commentary if you really care to dig that deep. Like I said, we’re the only band that could pull this off. We’re the only band that half way through the live show, suddenly the band members are putting on robot helmets. Yeah, I don’t really hear anything that I particularly like out there, so I guess I am just inclined to create the band that I want to be a fan of.